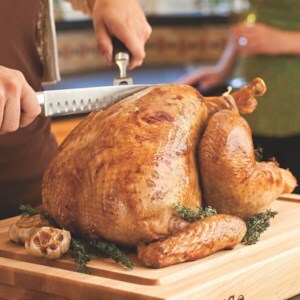 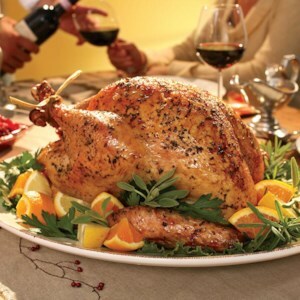 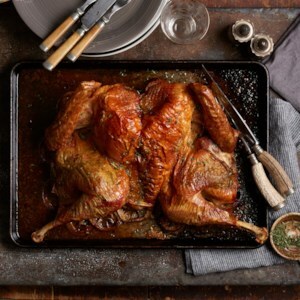 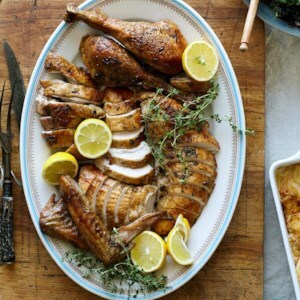 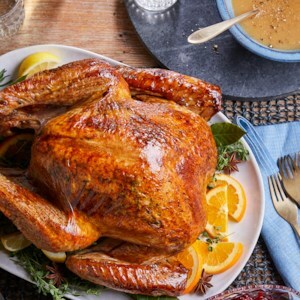 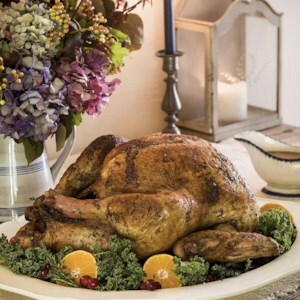 Find healthy, delicious baked and roasted turkey recipes, from the food and nutrition experts at EatingWell. 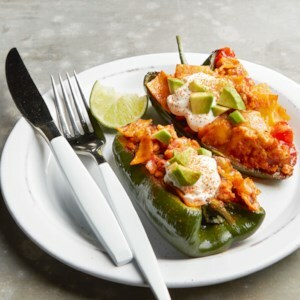 In this healthy take on a turkey enchilada recipe, we stuff everything into a roasted poblano pepper shell rather than tortillas to pack an extra serving of veggies into this meal. 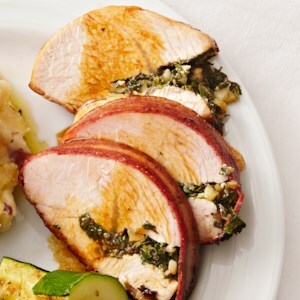 If you can't find poblano peppers, you can substitute green bell peppers instead. 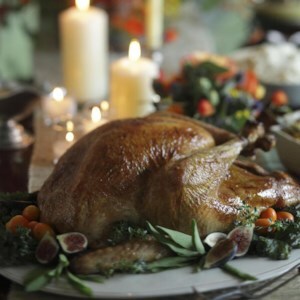 Turkey and stuffing sounds like a Thanksgiving meal, but it doesn't have to be! 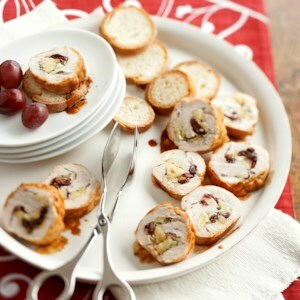 This main dish--roasted turkey tenderloin, stuffed with dried apples, cranberries and cheddar cheese--is something your family will enjoy any time of the year. 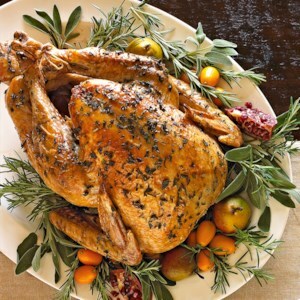 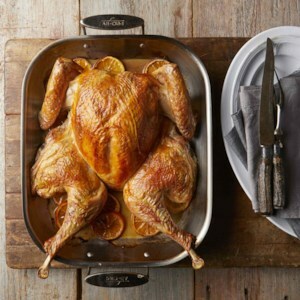 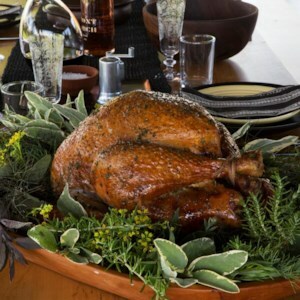 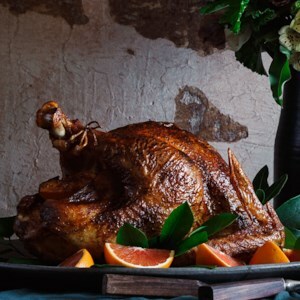 Turkey is flavored with fragrant herbs and roasted alongside potatoes, carrots and onions. 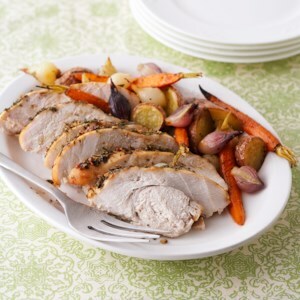 Leftovers--which can be refrigerated or frozen--are perfect for sandwiches or soups! 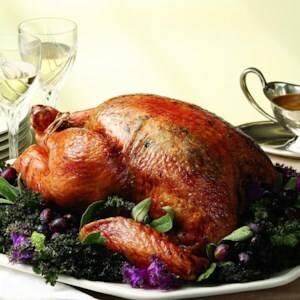 Blueberries have just the right mix of acid and pectin so that they're terrific in both sweet and savory dishes. 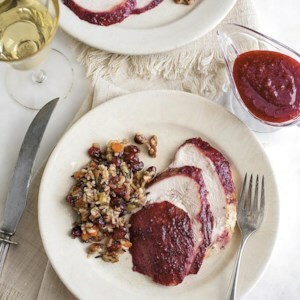 They work especially well with thyme--and so this easy turkey sauté can be a delight whenever the berries are in season. 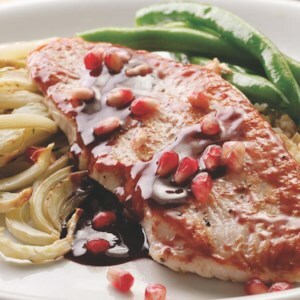 To make this dish into a meal, dress some quick-cooking barley with lemon and pepper and offer steamed green beans on the side.